Our Mystery Then and Now Book Club is growing. We meet every over month to discuss two mysteries with a common theme one classic or set in an earlier time and one contemporary. 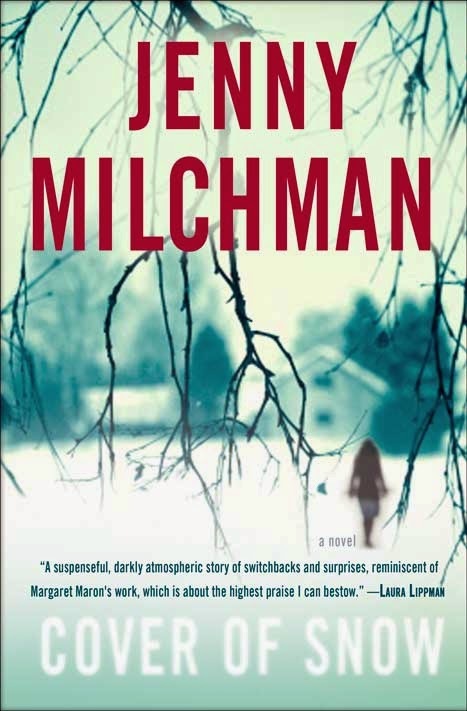 The books for May 9,2014 are THE COVER OF SNOW (2013) by Jenny Milchman and CASE OF THE CONSTANT SUICIDES by John Dickson Carr (c1941). In COVER OF SNOW the wife of a New York State policeman discovers her husband dead in their house, an apparent suicide. She decides she wants the truth about his death no matter consequences and goes to extraordinary lengths to discover it and other secrets of her small town. Jenny's book has been nominated for a Mary Higgins Clark award whose winner will be announced at the Edgar Award Banquet in April 30. 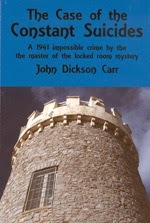 Carr's book CASE OF THE CONSTANT SUICIDES features not one but two locked room murders in a mystery set in Shira Castle in Scotland. It features Dr. Gideon Fell The Great Detective who takes on the case of an apparent suicide of Old Angus Campbell. His heirs can not inherit if the death is ruled a suicide. From the introduction to Carr's book by Tom and Enid Schantz: The best of them (Carr's Mysteries)play fair with the reader and provide enough clues that the reader can figure out how the murderer penetrated that sealed chamber almost before the Great Detective unmasks killer and method...For more than 40 years John Dickson Carr found dozens of ways for murderers to pull off the impossible. If you have read the books and would like to contribute to the discussion, please add your thoughts below. After watching "Reichenbach Fall" the third episode of season two of "Sherlock" and realizing that it was Arthur Conan Doyle's Birthday. I decided to share the following recipe of mine. In 1994 I was asked to contribute a recipe or two for the Mid Atlantic Mystery Cookbook. Being a Sherlockian as was my father I felt I had the perfect recipe and the answer to what would I like for my last meal if I was to be pushed or accidentally fall into a Swiss ravine. I came up with "Geschnitzeltes Reichenbach Falls mit Rosti und Weiss Spargel. "You could just as well make it with spatzle but rosti is Swiss so I went with that. It is also the unofficial dish of Switzerland. But beware... danger lurks where you least expect it. Veal is probably the easiest and most expensive meat to ruin by improper cooking. Select the finest veal you can afford, go very easy on the heat, and use real cream, butter, and mushrooms, preferably wild ones like chanterelles. I dote on rosti, (but there are so many carbs), and you have to have white asparagus and a good Swiss wine. For dessert, a must is Alpine strawberries mit schlag. I dedicate this meal to Sherlock and Moriarty and the Confrontation at Reichenbach Falls, to Conan Doyle on his birthday, and to my father who loved them all as I do. Choose 1 1/2 pounds of veal scallopini. Slice it in 1/2 inch strips. Saute the veal very gently over extremely low heat in 1 tablespoon of butter for three minutes. Remove the veal from the pan and deglaze the pan with 1/4 cup of wine, preferably a dry Swiss wine of quality. In a separate bowl add 1/4 cup of pan juice to 1 cup of heavy cream. Pour mixture back into skillet. Add 1/2 cup sliced mushrooms. Add veal and heat for three more minutes. Add salt and white ground pepper to taste. Garnish with fresh parsley. Serve with Rosti and fresh white asparagus (spargel). Here on the Eastern Shore we are gearing up for the celebrations of the Forgotten War: The War of 1812. 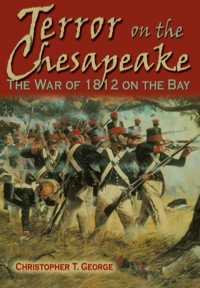 It was Maryland's War as we see it and most definitely the war of the Chesapeake. Although some say all the action took place on the Western shore of the Bay, those of us on the East Side of the Bay have much to think about it and commemorate. I am part of a committee creating ideas about meaningful events in Talbot County headed by Marie Martin of St. Michael's. In Talbot, of course there is the Battle of St. Michael's in August of 1813 when the town's folk and militia were able to thwart the British 'invaders." Although there is much folklore attached to this event, there is an element of great pride that the stalwart towns folk were able to defend their town. As President Madison discovered from the beginning of 1812 the small "navy" of the United States of seven vessels would not be enough to deter the British. He therefore gave Letters of Marque to those private captains and ship owners to act as Privateers to "annoy" and harass the British. This they very successfully did, many of them closer to British Soil than American soil. The beautiful schooners built in the shipyards of St. Michael's, and most of all Fells Point in Baltimore were just the type of vessel President Madison needed. Christopher George was born in Liverpool, England, but I met him in my old Fells Point store in Baltimore. You might remember him from the documentary about Maryland's participation in the War of 1812 which has been shown on television. Chris is the author of the seminal work TERROR ON THE CHESAPEAKE (2001). This book has an interesting perspective on the war since he used British and American primary sources, and is full of wonderful material. Bert Hubinger is the author of 1812: RIGHT OF PASSAGE (2012), a novel set during the period. George Daughan's 1812: THE NAVY WAR (2012) tells the complete story of the U. S. Naval involvement. Stay tune for more exciting news, including an Evening with President Madison at the Inn at Perry Cabin in St. Michael's in June with a full dress ball, food, music, and dancing from 1812 and all the trimmings. The Talbot Historical Society has costume making workshops so you will be ready for all those celebrations. Also in the works are celebrations in Dorchester County. I also would like to do a series of "Find Your 1812 Relative" Family History/ Genealogy workshop in Talbot County to gear up local interest. Also a booklet of recipes to inspire local chefs to try 1812 dinners, including those wonderful rum drinks. I'll keep you posted on more local 1812 events. If you have ideas of your own or events to share let me know. Of course you can stop by for books as well. Each Thanksgiving weekend the crowds swarm to the malls, abandoning the independent Ma and Pop stores on corners and main streets across America. This year independent stores are asking you to make a difference in your local community and economy by choosing to buy local, not from a chain, on the Internet or from your phone. Take the time to experience the joy of shopping inside a brick and mortar store with hand picked merchandise and staff that actually knows a lot about their stock and customer service, and appreciates your business. Not only will you be helping a local business, but a huge percentage of the money will stay in your local economy and we all will benefit. We hope you support us on Small Business Saturday November 26th. Come into Mystery Loves Company in Oxford www.mysterylovescompany.com and spend $50.00 and we'll give you 10% off on everything until April 2012. Is that a deal or what? If you can't come in, of course we will accept your phone and email orders. But think what a big difference it would make to a small business like ours to see your smiling face on Small Business Saturday and everyday. We give thanks for our loyal customers. The Crime Writers Association gave out their Dagger Awards in the UK on October 8th. Don't forget Mystery Loves Company is your headquarters for all things mystery. *The Hammer Award (Best P.I. Series Character): *Sara Paretsky for V.I. Saturday, July 23 @ Mystery Loves Company in Oxford MD, Donna Andrews will have her Eastern Shore launch of THE REAL MACAW. The signing is from 12:30 - 3:00 pm with refreshments and all are welcome. Meg Langslow is ready to birth her twins in this one, part of Donna's extremely funny and award- winning mystery series. If you can't join us please email us at mysterylovescompany at gmail.com (no spaces) and we'll reserve a copy for you. You don't want to miss this latest addition to the hilarious life of Meg and her family. Janet Rudolph has just announced the Macavity Awards to be given out in Sept 2011 in St. Louis at Bouchercon, Many are favorite authors of ours. Such a good group. What do you think? Awards will be given out at the Annual Edgars Banquet on April 28, 2011 in NYC. 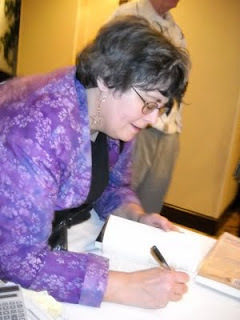 I became a librarian in 1969 and a bookseller in 1991. I own Mystery Loves Company Booksellers in Oxford Maryland. I live on Maryland's Eastern Shore. In addition to reading books, I research family history, grow orchids, and do needlework.